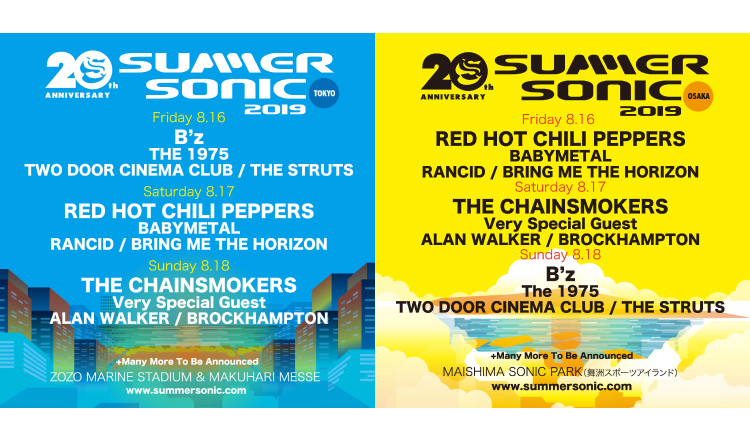 Concertgoers are gearing up for what’s looking to be a huge SUMMER SONIC festival this year with the headliners making headlines. The highly-anticipated announcement of additional artists and the days they will be performing is finally here. Headlining Tokyo on August 16 and Osaka on August 18 is one of Japan’s strongest rock acts, B’z. Joining them down the list is English pop rock band The 1975 who grew to international fame with their latest release. Hailing from Northern Island is the indie rock band Two Door Cinema Club who has earned a huge worldwide following, as well as the English rock band The Struts who has truly re-validated the real thrill of rock music. Performing at Tokyo on August 17 (Osaka on August 16) is BABYMETAL whose name has dominated music festivals across the globe. Mainstay of the punk genre Rancid are also making their long-awaited return to the festival. 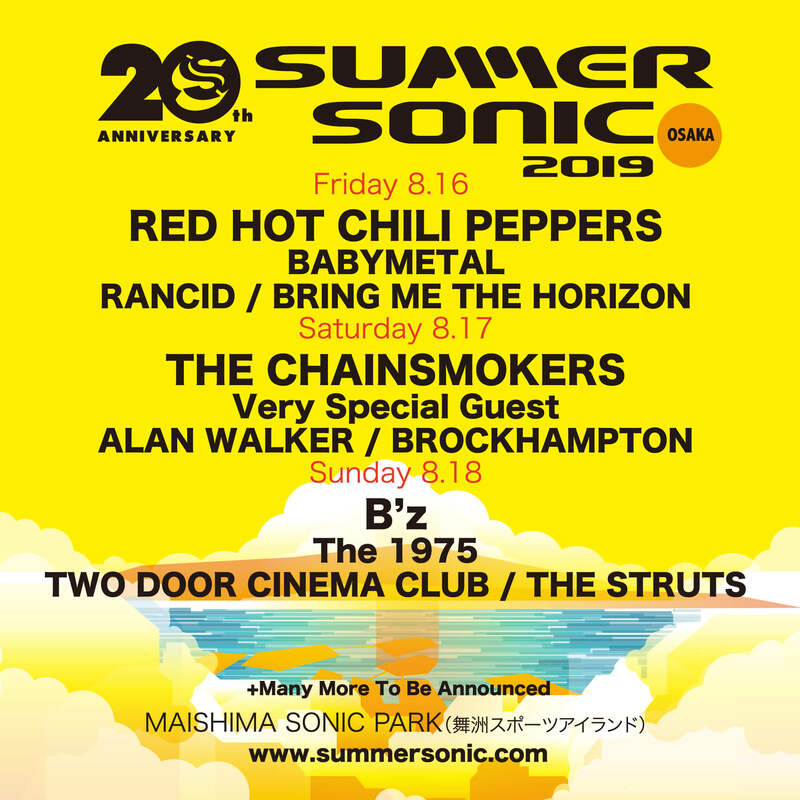 Bring Me The Horizon have been added to the list too who are ready to dazzle their Japanese fans with their recently-released pop/electronic/rock record Amo. With Red Hot Chili Peppers as the headliner for these days it’s looking to be a seriously fired up performance. For August 18 in Tokyo (August 17 in Osaka) we can look forward to a headline act from The Chainsmokers. Also playing those days is the young DJ and record producer Alan Walker who is enjoying a serious surge in success and popularity. LA-based hip-hop group Brockhampton will also make their Japan debut. 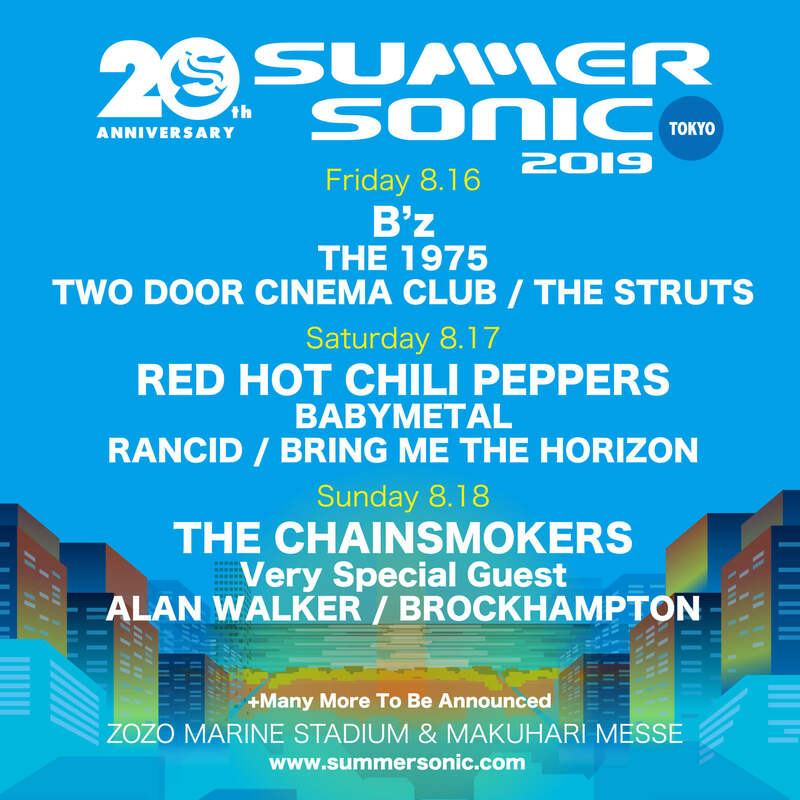 This marks the 20th anniversary of SUMMER SONIC so it’s one to not miss out on. The special 3-day tickets which come with a box of merchandise have sold out for both Tokyo and Osaka. Pre-sales for 1-day box tickets and platinum tickets will go live on February 5.